Controversial tech icon Kim Dotcom is planning to raise £2.5 million for his new digital music service ‘Baboom’ by taking it public on the Australian Securities Exchange by the end of 2014. The plans were revealed in a 41-page prospectus being distributed to potential investors, as well as published on Baboom’s website. The company is hoping to issue up to 11.25 million shares at AU$0.40 each. Baboom is a cross between iTunes, Spotify and MySpace in its: a site where artists will be able to upload their music and make it available for fans to stream or download. The prospectus outlines its strategy of blending streams, downloads, artist profile pages and social updates, with musicians able to sell downloads as well as give them away, while also selling tickets and merchandise. Visitors to Baboom will also be able to earn ‘credits’ for free music if they watch targeted ads, while storing their existing music collections in digital lockers up to 50GB in size, and playing those songs from Baboom’s website and mobile apps. The prospectus states that Baboom plans to launch an “open (controlled) beta” in the third quarter of 2014, before a full launch by the end of the year. Baboom will initially be promoted to the 8.4 million users of Dotcom’s other new venture, cloud storage service Mega. It plans to make money from its 10 per cent cut of music downloads sold through the site, as well as advertising and subscriptions for “original, exclusive or first-listen content”. 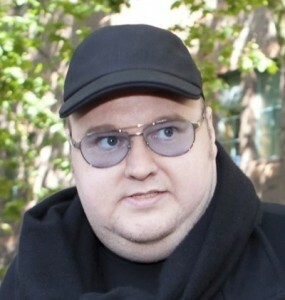 Dotcom – the former chief executive of Megaupload – is still facing criminal and civil copyright infringement charges, and is battling extradition from New Zealand to the US to face charges.